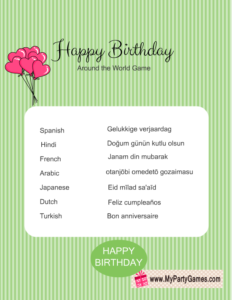 This is a fun free printable Birthday game called Happy Birthday Around the World Game. 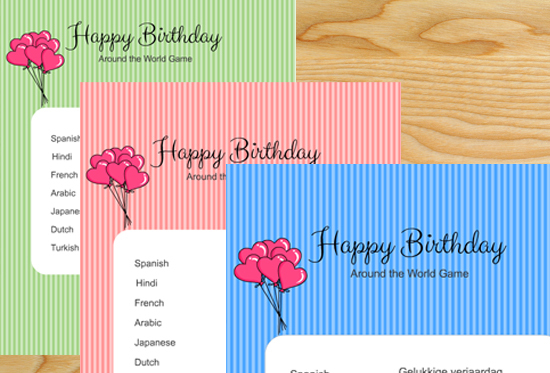 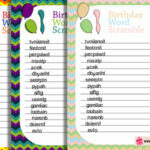 I have made printables for this game in 4 different colors to match the theme of your birthday party. 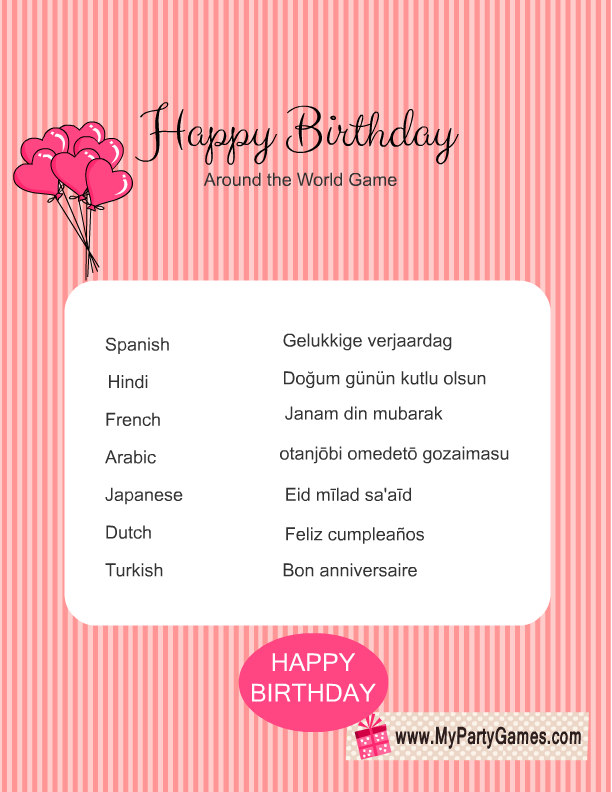 You can check the knowledge of foreign languages of your guests through this game. They should know how birthday is greeted in other languages. 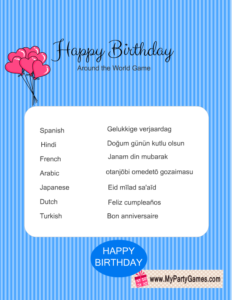 Distribute the happy birthday around the world game cards that you have already printed, among your guests along with a pen. 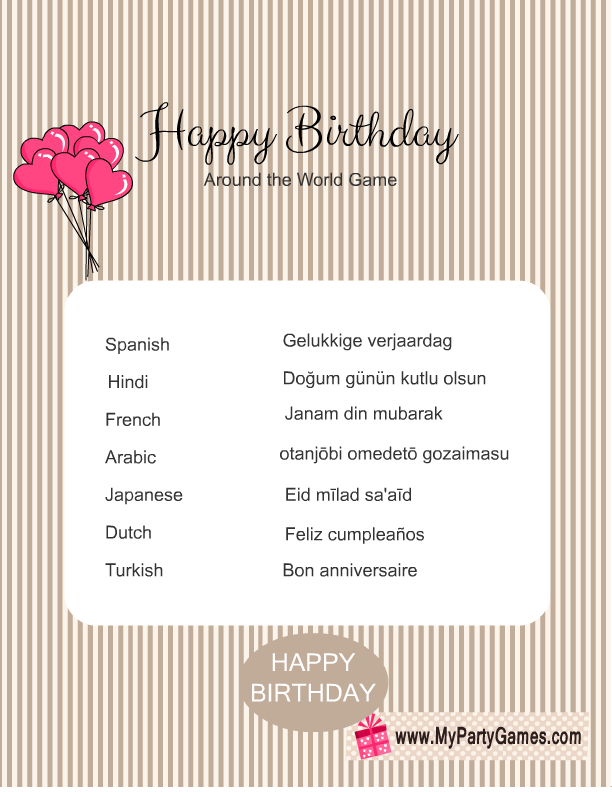 Ask them to match the language, with how they say ‘Happy Birthday’ in that language with in 5 minutes. The guest who will match all the languages correctly will be the winner. 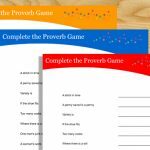 I am sharing the answer sheet for this game below, so you can check if guests have matched it right. This is an adorable game card for this fun to play game in blue color. 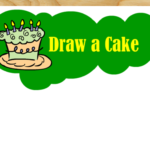 Just click on any thumbnail image of the game and a bigger image will open up. 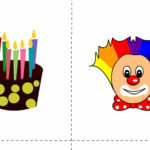 You can right click and save that image. 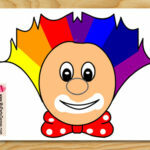 This is another beautiful color for this game. 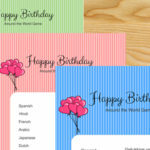 Choose pink color if the birthday party is being hosted for a lady. 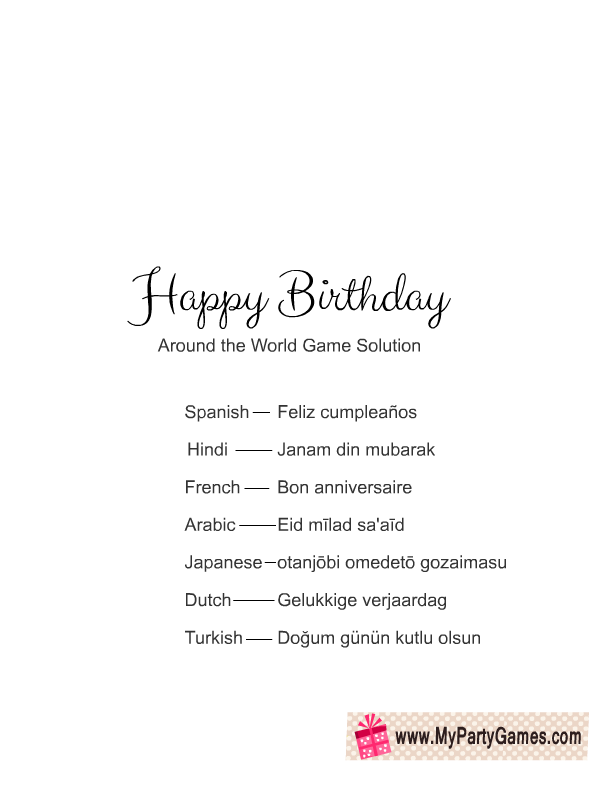 This is another free printable game card in brown color tones. This is another color variation for this very interesting around the world game. 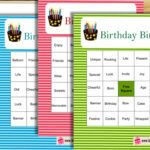 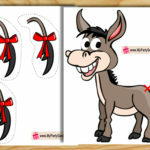 This is the solution for this free printable birthday game. 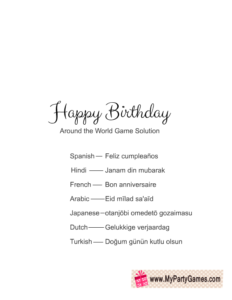 You will need copies of this game according to your birthday party guests but only one copy of this game solution will be needed. 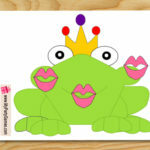 Please feel free to leave your comments and suggestions on this post.